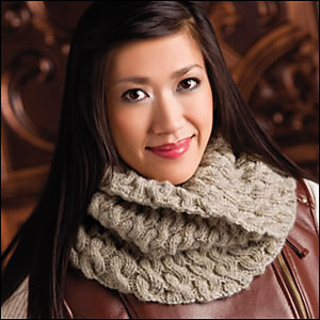 Give this cowl a try if you’re a newbie to cables. With simple cable patterning, you’ll enjoy getting the hang of this fun technique. baby alpaca/8% wool/8% nylon) from Rowan.